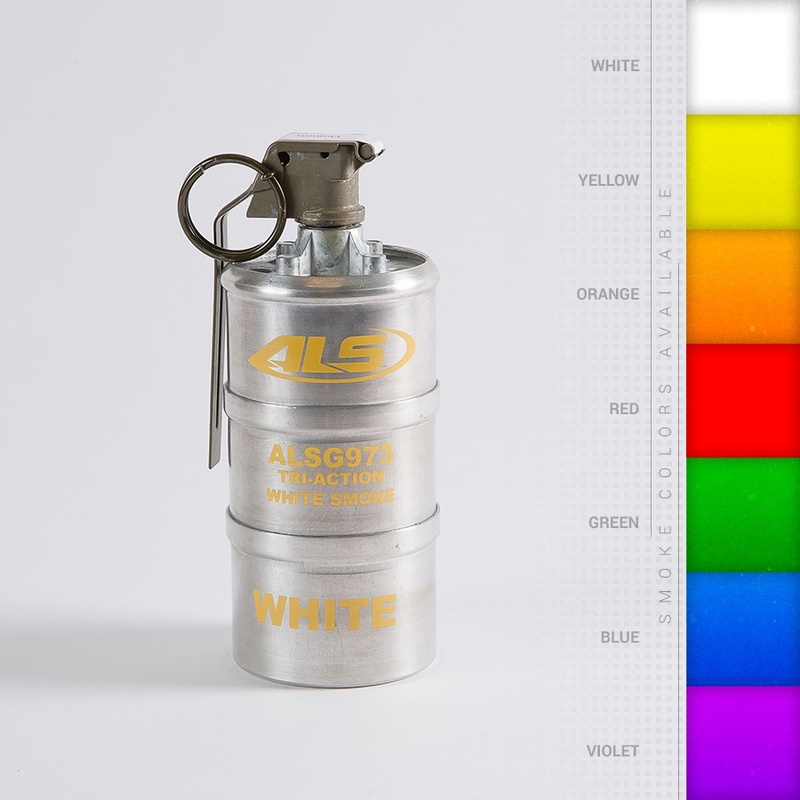 The ALSG973W is a pyrotechnic canister that is designed to deliver smoke over a broad area due to its three canister submunition design. Upon initiation from the fuze, the canister separates into three submunitions and will discharge agent for approximately 30-40 seconds, on average. Each submunition will generally separate between 5m-10m apart, providing a wide area of coverage.